Click here to discover the top 10 Russian universities in 2019. 68 Russian universities feature in the QS BRICS University Rankings 2018, an annual ranking of the strongest universities in the five fast-developing economies of the BRICS countries (Brazil, Russia, India, China and South Africa). All of the 10 top universities in Russia featured below ranked in the top 50 of this year’s BRICS, and improved upon their positions since last year’s ranking. For each institution, we’ve also assessed their strengths in the latest QS World University Rankings by Subject, and how they performed on an international scale in the QS World University Rankings® 2018. Consistently the highest-ranked university in Russia, Lomonosov Moscow State University is up two places in this year’s BRICS ranking to now place fifth. It also climbed 13 places in the 2018 world rankings to joint 95th in the world. Lomonosov was founded in 1755, making it one of the oldest Russian universities, and it today educates roughly 47,000 students, 4,000 of whom are international. Lomonosov Moscow State University is currently ranked among the world’s best for 29 out of the 46 subjects covered by the QS World University Rankings by Subject, including positions in the top 50 for linguistics, modern languages, computer science, mathematics, physics and hospitality. Up nine places this year (having ranked joint 20th with Saint-Petersburg State University last year), Novosibirsk State University is ranked 11th in this year’s BRICS and is also ranked joint 250th in the world rankings. A much younger institution than Lomonosov, having been founded in 1959, Novosibirsk has nonetheless established itself as one of the best Russian universities, and has 7,000 students, 20% of whom are international. Novosibirsk State University currently features among the world’s best for nine subjects, achieving top 150 positions for archaeology, physics and astronomy, mathematics and chemical engineering. Saint-Petersburg State University is up seven places in this year’s BRICS, now placed joint 13th, and is also currently ranked joint 240th in the world. 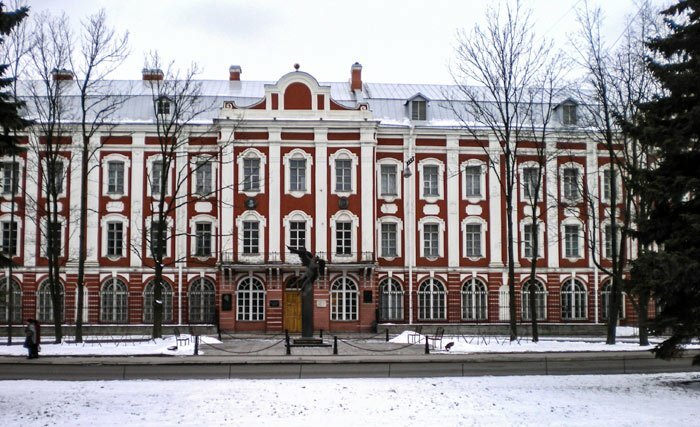 The oldest of these top universities in Russia, Saint-Petersburg State was founded in 1724 by Peter the Great as the Saint Petersburg Academy of Sciences. In its almost three centuries of existence, the university has educated nine Nobel Prize winners and other notable figures, such as current Russian President Vladimir Putin. Saint-Petersburg State University was included among the world’s best for 14 subjects in 2017, with positions in the global top 150 for linguistics, mathematics, history, modern languages, philosophy and physics & astronomy. Next in our look at the top universities in Russia is the Siberian-based Tomsk State University (TSU), which has climbed 17th places in this year’s BRICS to now rank 26th. Also ranked joint 323rd in the world, Tomsk State University is the oldest university in Asian Russia, having been established in 1878. TSU is active with international collaboration, having maintained long-term partnerships with more than 90 leading universities around the world, and it also offers an increasing number of English-taught programs. As of the latest rankings by subject, TSU is ranked among the top 300 universities for physics & astronomy and modern languages. 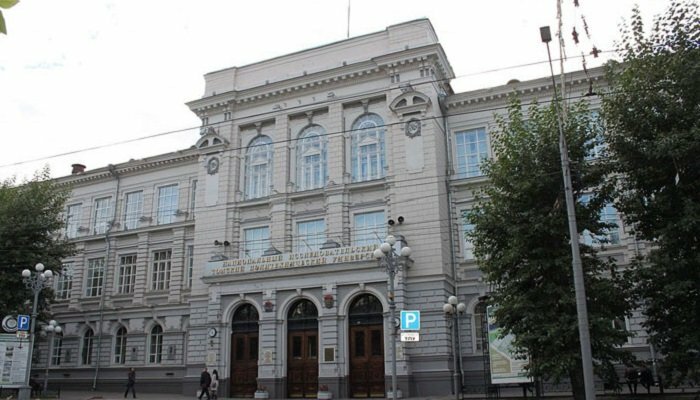 Another institution improving its position in this year’s BRICS is Moscow Institute of Physics and Technology State University, also known as PhysTech or MIPT, which climbed 19 places to now rank 28th in BRICS. Also ranked joint 355th in the world, MIPT was founded in 1951 and was granted the status of National Research University by the Russian government in 2009. MIPT’s faculty and alumni includes a number of Nobel Prize winners, cosmonauts, scientists, and other prominent figures in business and politics. MIPT currently ranks among the world’s top 50 for physics & astronomy, and within the top 450 for five other subjects. Up five places in this year’s BRICS, Bauman Moscow State Technical University (BMSTU) is ranked 33rd in BRICS and 291st in the latest world rankings. The oldest and largest of Russia’s technical universities, BMSTU receives the highest score in the whole BRICS ranking for its faculty/student ratio, and is also ranked 12th for its reputation with employers. As well as maintaining relationships with more than 70 international universities, BMSTU has close collaboration with industrial, scientific, educational and cultural institutions. BMSTU is ranked among the world’s best for five subjects as of 2017, including the global top 250 for mechanical and electrical engineering. Another of the top universities in Russia which climbed significantly in this year’s BRICS is the National Research Nuclear University, or MEPhI, which is up 15 places to rank 35th in BRICS and joint 373rd in the world. Established in 1942 as the Moscow Mechanical Institute of Munitions, MEPhI now has 21 satellite campuses beyond Moscow, in 20 Russian cities, with a total student population of over 38,000. MEPhI aims to address global, complex challenges of the 21st century in high-priority fields, including medicine, nuclear energy, nanotechnology and ecology. MEPhI is currently ranked in the global top 100 for physics and astronomy, as well as the top 400 for electrical engineering and mathematics. Climbing 23 places in this year’s BRICS, the Higher School of Economics (HSE) is ranked 39th in BRICS and joint 382nd in the world. The youngest university in this list (founded only 25 years ago in 1992), HSE has about 31,900 students and is mainly located in Moscow, with additional campuses in St Petersburg, Nizhny Novgorod and Perm. HSE offers a range of English-taught programs and international students may be able to study for free through government scholarships. The Higher School of Economics is currently ranked among the world’s best for 13 subjects, featuring in the top 100 for economics, sociology and politics. Considered one of the most elite universities in Russia, Moscow State Institute of International Relations – MGIMO University is ranked 40th in BRICS and joint 373rd in the world as of 2018. MGIMO University was dubbed the “Harvard of Russia” by Henry Kissinger because it’s educated so many of Russia’s political, economic, and intellectual elite. MGIMO University is featured in the Guinness Book of World Records for teaching the most full-time foreign languages of any institution in the world, at 53. Although it doesn’t appear in the rankings by subject, MGIMO is (as its full name would suggest) particularly noted for its international relations programs. Concluding our look at the 10 top universities in Russia in 2018 is Tomsk Polytechnic University (TPU), which is ranked 49th in BRICS and joint 386th in the world. TPU achieves one of the highest scores in the BRICS ranking (third) for its proportion of international students, with 26% of its 14,100 students coming from outside Russia. Founded in 1896 as Tomsk Technological Institute, today TPU has seven research institutes, 72 research labs, a research nuclear reactor and a business incubator. Tomsk Polytechnic University is currently ranked among the world’s best for 13 subjects, with positions in the top 100 for economics, politics and sociology. You should probably avoid MIPT. Infrastructure is awful, and you will just find yourself in an impossible situation where you don't have the most basic conditions to realize your potential. It appears that their strategy is more aimed towards adjusting the parameters to fit the ratings, rather than fundamentally improving the quality of education. MIPT is more of a research center and giant think-thank, rather than university. Nobody there has the patience, or the will to actually teach students. There's a lot of hype, but that's all there is to it. If you want to study technology in Moscow, just go to BMSTU, or MEPhI.